You only say these four words a few times in your life, if at all, and when those words do escape your lips, your life is changed forever. 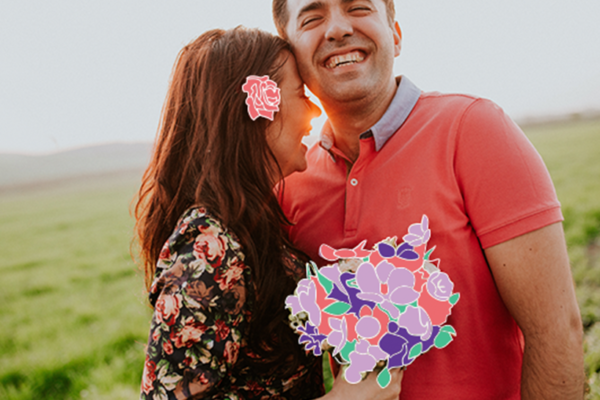 In the months leading up to your wedding day, there are a lot of decisions to make to ensure your special day is absolutely perfect. That exciting journey all begins with that magical moment when you drop to your knee and ask for your loved one’s hand in marriage. In all the excitement and nervousness of making that decision, it’s easy to forget that you might want to capture that life-changing moment when your best friend becomes your fiancé. We chatted with one brilliant photographer to discover some tips for those wanting to make their marriage proposal unique, personal and unforgettable, as well as how to best photograph that special surprise. P.S. – All the amazing photography in this post is by Bethany! Songfinch: How long have you been a wedding photographer? Bethany: I got a slow start to weddings. I was still in school for photography as a student in New York. A friend’s cousin was getting remarried, and as I was still a student, they figured I would be very affordable and they gave me a shot. Honestly, I really didn’t know what I was doing. At the time, wedding photography hadn’t really evolved into what it is now. It was still kind of teetering on a very traditional hilltop that most people approached with texturing, a couple of the basic formal portraits, and didn’t really let it be expressive, creative, or very candid either. Social media, photo sharing with smartphones and blogs, and I think just being connected to the internet has made people so aware of what they can do with wedding photography. It doesn’t just have to be stale coverage like our parents had, it can be something really unique to you. It can be something fun, something that really showcases your personalities and your relationship. It has been really great for me to kind of grow with it. About eight years ago, I committed to being a full-time wedding photographer and now it’s 100 percent what I do. Songfinch: Your style has such a unique feel with a blend of candid shots and expressive portraits. Was that a natural route for you to take? Bethany: I think as I was changing, my clients were changing, too. I’ve seen consistency in what people want over the last six or seven years, but up until then people seemed to struggle between wanting to do something creative, but still wanting to frame the picture where they are looking at the camera smiling. It’s a very classic happy couple portrait. In the last five or six years, however, people have begun really gravitating towards that candid shot and really embracing it. A good barometer for seeing that change has been what I like to call “the Facebook profile test.” Quite often when a bride or groom receives their wedding photos, before they even respond to my call or email, they rush to change their profile photo with one of their wedding photos. Just a few years ago this photo was a standard portrait, looking at the lens and smiling, about 90% of the time. I’ve seen a shift in the last handful of years, where people will put up a photo where they’re in the middle of a hearty belly laugh with their head thrown back, and they might not look the prettiest they did out of the whole day, but they look sincerely happy and they love those shots. It’s been the biggest pat on the back for me that my clients actually appreciate those true candid moments, the images that were caught in just a split second instead of the ones where I told them where to put their hand and which way to look. Songfinch: On your website and blog, you share the stories from your clients and it always seems like you’ve become such great friends. Is that a trend industry-wide, that people have such close relationships with their photographers? Bethany: I think it depends on the person. I know that most people in artistic jobs and genres are not always equipped with great social skills; luckily, I think I am a great people person! I really like to put people at ease, I like to get to know them, and I want to have fun with them, too, because that’s the benefit of my job. I don’t know if everybody gets to walk away with that, but I am just constantly amazed at that being a part of what I do. Not only am I being paid for a service that I feel is being incredibly appreciated, but I really do establish relationships with couples I’ve known for years afterwards. When they end up having kids or another big life moment happens that I can be a part of, they always include me. It’s really amazing. Songfinch: One of the things that we find really cool is the difference between proposal photography, engagement photography and wedding photography. Can you talk a little bit about what clients are looking for in each of those? Bethany: I think proposals are the newest one to the world of photography, and I think it’s the result of people sharing photos so much online. 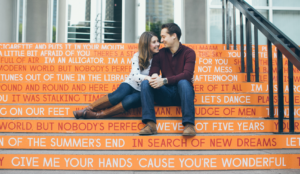 A lot of people are realizing how they can go the extra mile when it comes to popping the question. I’ve even seen a lot of people enlisting the help of wedding planners to arrange some really elaborate proposals. I’ve definitely seen a massive influx of people wanting to capture that moment by professional photographers in the last couple years more than ever before. In fact, I’m photographing one tomorrow actually. It’s a little bit more of a quick, in-and-out thing. A couple of them have led to me working with them afterwards, whether it was to then do an actual engagement session and possibly even their wedding. 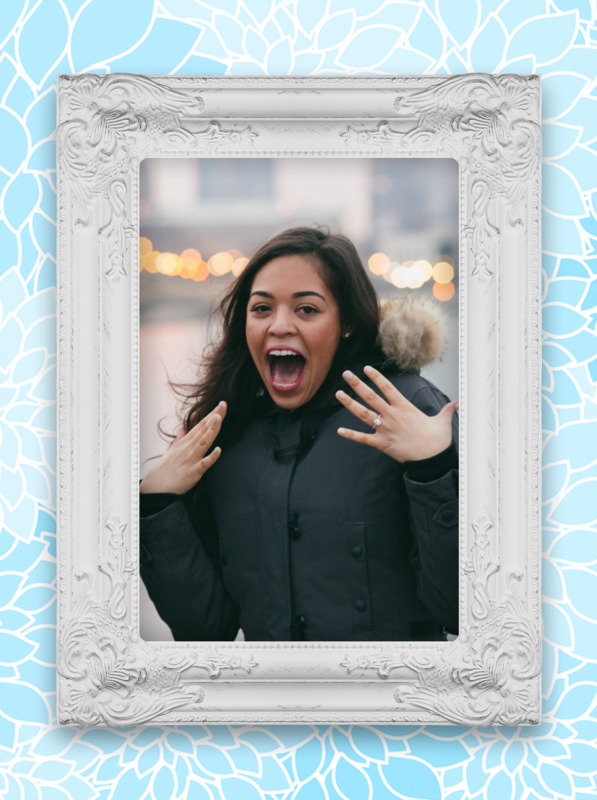 For their proposal, there’s always that element of surprise. You have to have a little more stealth, possibly hide behind a bush, make yourself as invisible as you can and capture the sincerity of that moment. There’s nervousness, there’s coordinating. They’ll be texting me beforehand what they’re wearing and where they’ll be to make sure I know where to put myself. We might do pictures for about an hour afterwards to get some portraits, but really after that they just want to get back to what they were doing. They want to make phone calls, tell everybody and post pictures online, so I try to deliver a couple of shots within 24 hours that they can use for that. 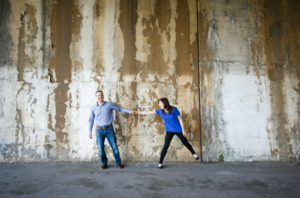 With an engagement session and absolutely with a wedding, there’s a lot more involvement. In a lot of my engagement sessions, I ask my couples to give me more information about themselves and their interests, which I use kind of as a guideline for picking the locations and what we want to do for those pictures. 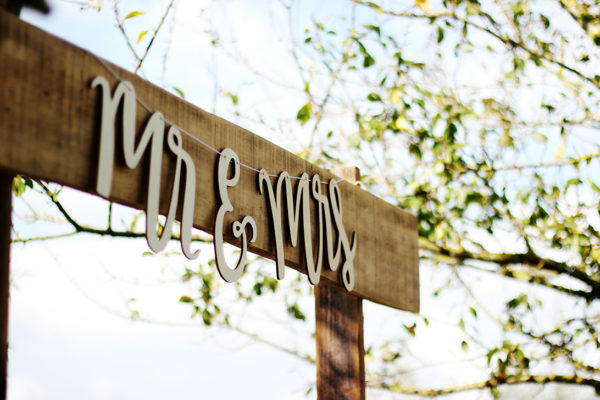 With a wedding, there’s so many more people involved so you’re doing a lot of more work leading up to the day, as far as getting timelines and information and just making sure everything goes on without a hitch. Songfinch: It’s amazing the range of skill sets that you have to employ for each of those. 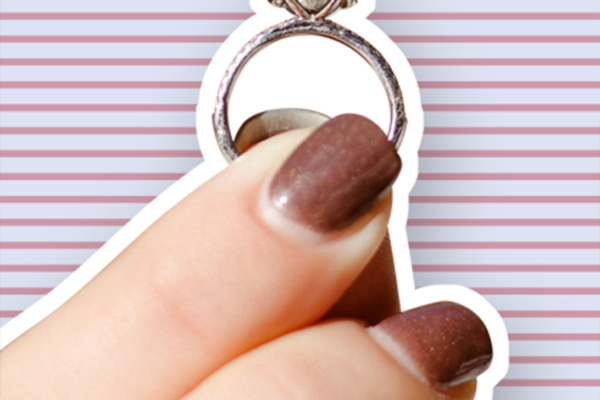 For proposals, we can imagine you’ve got to be so sneaky. Bethany: I’ve never had to wear camouflage or paint my face, but I’ll tell you about a really funny experience. This was six or seven years ago. He wanted to propose to her on a helicopter during a sunset tour of the city. They were running late, so sadly the lighting was not ideal, because by the time we got up there it was dark. It was still beautiful to look at, but for photos, at that time it wasn’t so great — cameras have come a long way when it comes to working in low light. And we were in this tiny little helicopter, so there was no way for me to turn around and take pictures discreetly. Everybody could see what I was doing, so I had to pretend to be a student taking this helicopter ride for a photo project, and they were just doing it for their anniversary because they were out celebrating. I was listening on my headphones for when he was going to ask her, and she had no idea that he had put this whole playlist together that we could hear in the headphones that was playing through the radio in the helicopter. It was all love songs like, ‘I Don’t Want To Close My Eyes’ and other songs that she loved. She didn’t notice a thing. Then he started to ask her, so I turned around real quick to photograph the proposal. It was so cramped, so difficult, but it was such a fun experience and something I’ll never forget. Songfinch: That’s amazing. 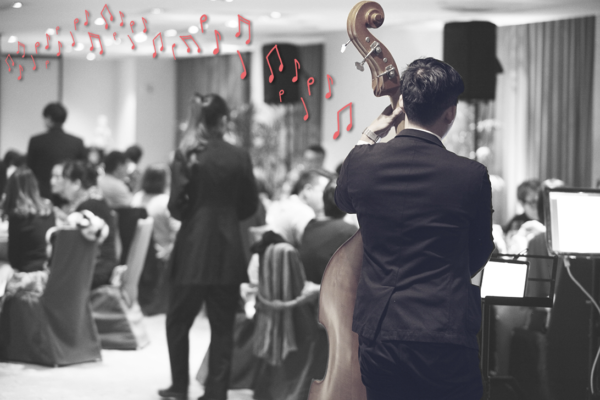 How many of your proposal clients use music as part of the proposal? Bethany: I’ve had other people in the arts, a lot of actors and musicians, where they’d had flash mob scenarios with singers. That was more of a fad before. I did have a client who had hired a three-piece band to serenade them as he proposed and it was really beautiful, I still have a video of it. So not a ton, but I don’t think a lot of people realize they can. If they were aware of it, I think more people would probably do so, because there’s plenty of fun ways to do it. Songfinch: In addition to music, is there anything else people should be aware about when they’re thinking of hiring a professional photographer to capture their proposal? Bethany: I think just being aware of what your plans actually entail. Coordinate with your photographer, pick a location that isn’t going to be really awkward – not too full of people but not too empty where your photographer has no way of being discreet, and definitely think about the weather. 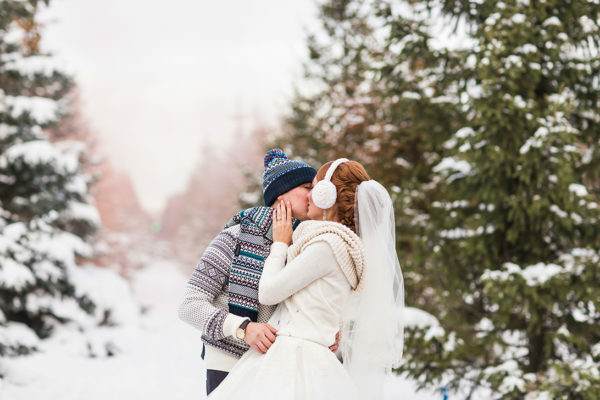 Winter is a prime time for proposals because everyone wants to get engaged around the holidays and Valentine’s Day, but it’s cold, it’s sometimes raining, and getting everyone on board without spoiling the surprise can be tough. Getting her or him out the door, making sure they’re not going to be wearing something they’ll be embarrassed to be photographed in, making sure they’re not going to be in a giant coat in all the pictures – that stuff is hard. Tomorrow I’m going to be outside by the Adler Planetarium, so I’m sure she’s going to be wearing a coat. We’re going to try and get inside just so she’s not wearing a coat for all her pictures. Texting with the client has been great, too. Don’t run late. So often, everyone is running late because it’s really hard to organize and everyone’s really nervous. The sunset helicopter tour would have been so much more effective had we been just fifteen or thirty minutes earlier, but they were really late. I’ve had a lot of people get to the location after the sun has gone down, but it’s hard this time of year because the sun sets so early. I think a backup plan is a good idea, too, especially because the weather can be so unpredictable. If you’re going to a specific location to see the skyline over the water, and you anticipated this gorgeous backdrop but it’s pouring rain, you want a solid Plan B. It kind of applies to everything I do. You can usually reschedule engagement shoots. You can’t reschedule weddings, so you have to have a Plan B, and a Plan B that everyone likes. With a proposal, it’s not an easy thing to reschedule, so definitely have a Plan B. Think it through. Think about what you’re going to say, practice getting down on one knee, think about what pocket you’re going to keep the ring in. Think about the safety of the ring in transit. Ask your friends for help with coordinating, too. My associate Jon recently shot one of the best proposals I’ve seen in awhile. 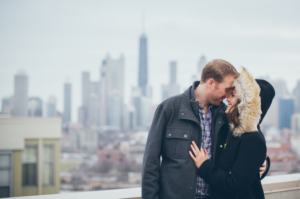 The couple were living in Florida and visiting Chicago because it was a special place for them, and they were coming back for the weekend just to visit. His friend helped them set it up and had access to the rooftop of a building that overlooked the river, and he had printed out all of the most adorable things that were a part of their story. He had framed all of these little pictures of what he saw as major moments in their life and really cute stuff like from their favorite TV shows. They had so many wonderful treats from their shared past to make that moment extra special. Songfinch: That’s amazing. And I don’t know if I ever asked you – how did your proposal go? Bethany: I don’t know if that one’s a fair one to throw into the mix, because we were really young and didn’t have much experience. I was 19 and he was 23, and we were having a Christmas party at our house. One of the things he had given me was a video camera and his brother was pretending to learn how to use it, but really he was setting it up to catch what would happen next. I was wearing a bathrobe because his mom had just given it to me for Christmas, and then Scott got down on one knee and asked me in front of all the people who were there. It was so wonderful, so special, and it was a great moment that we have captured forever to look back on. I love doing that for people. Being able to take these pictures gives them a way to remember that moment forever. Bethany did a session with me and my fiance and she was a sweetheart. She took some of the most beautiful pictures we’ve ever had taken of us.